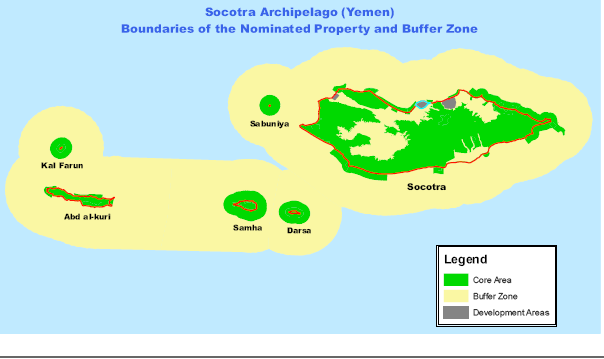 The Socotra Archipelago is located off the Horn of Africa, at the crossroads between the Red Sea and the Indian Ocean. The biosphere reserve encompasses the entire archipelago and the adjacent marine area. It is recognized as a regional centre of biodiversity, with spectacular endemic species. 37% of the plant species of Socotra, 90% of the species of reptiles and 95% of the species of land snails are unique to the area. Socotra has a rich cultural heritage, including the unique Soqotri language. Isolated from the rest of the world, traditional land and sea uses remained highly unchanged until the 1970s.